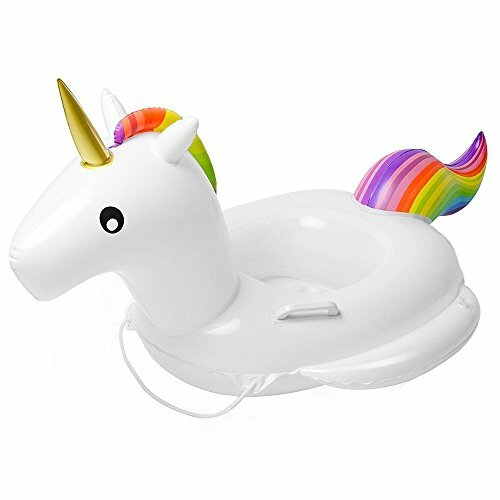 ❤KID'S SAFETY❤The unicorn float made of no smelling durable heavy- duty 0.3mm THICKNESS PVC material special for kids design(thicker than normal). 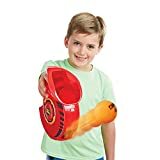 4 independent air bags with separate valve give all side protection for kids, leak proof. ❤KID'S PROTECT❤The pool float rollover prevention design. There are 2 air bags on both side of unicorn, highly improve balance and keep stable even baby moves up and down..Come with a safety string, avoid far floating and beyond parents' sight. 2 handles on unicorn are convenient for parents to move it. ❤KID'S COMFORTABLE❤The raft boat seat is comfortable, thicken and inflatable seat cushion makes baby bottom feel no tight and takes good care of baby's tender skin, effectively prevents hurt during moving and playing. ❤KID'S ENJOY❤ Inflatable float make your baby have a safe and fun way to enjoy the time in water with parents together. Suitable for children aged 2-6 years old. ❤WARNING❤This baby swimming float is not the life-saving supplies,only to be used under the direct supervision of an adult.Only for shallow water,please do not use it in the deep water,rapids,and waves. Great designed and sized for Kids,more comfortable, stable and safe kids float seat! Let's enjoy together in this summer! ●Kids should play under parents NOTICE, please do not let kids swimming alone. ●Do not inflate too full, it may cause damage. ●Wait 15 minutes after inflation, ensure no leakage before use. ●Do not let this float close to sharp stuff. ●Should fold if long time no use avoid broken Unicorn.